Is Your Chimney Ready for Summer? | 2nd Generation Chimneys, Inc.
Spring is the time of year when small animals come out of hibernation. Though many will build there homes and nests outside, you may find that some of them are a little confused, building there homes right inside of your chimney. Of course, calling for animal removal services or simply waiting until a bird is ready to leave is the best way to avoid any animal injuries. Otherwise, though, many people don’t notice that an animal has entered the chimney until it starts to smell or until a chimney sweep has completed an inspection. If this goes undetected until winter, it can be a major fire hazard. That’s why it is important to schedule an inspection at least once a year, preferably in the spring or summer. Another issue that can develop during the summer is damage to the chimney lining. This can happen due to weather or simply the passage of time. Most often, a chimney will require repairs due to water damage. Water can have profound effects on the safety of your chimney, it damages your masonry and increases the chances of a fire. A chimney sweep may recommend a chimney cap to keep water out, and sometimes, he or she may even recommend masonry repairs. The best ways to avoid these issues, though, is to schedule inspections often! Lastly, water can do more than just damage your chimney. Water that leaks through the chimney can wreak havoc on your home and property. Water leaks typically enter the home through the flashing, where the chimney meets the rooftop. 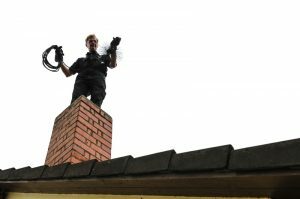 If your chimney’s flashing has worn down, you might face water damage, mold growth, and other potential issues. A chimney technician may recommend that you repair your flashing to ensure that it is equipped to prevent water damage. Be sure to hire a professional for all your fireplace and chimney services. Whether you need chimney repairs or fireplace installation in Minneapolis, MN, hiring a professional is the best way to ensure a job well done! For all your fireplace and chimneys services, contact 2nd Generation Chimneys, Inc.